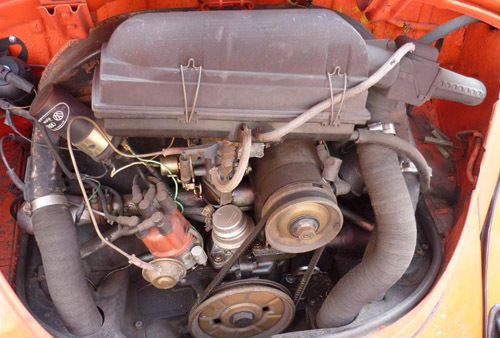 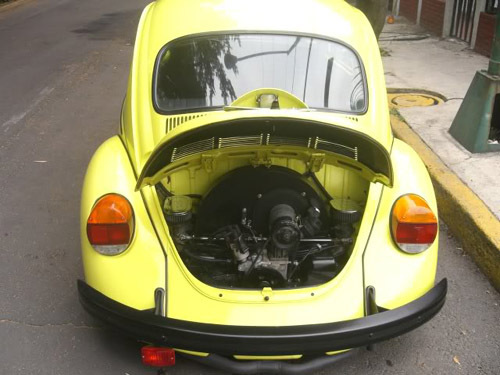 Produced in 1975, 1976 and 1977: "Jeans" with 1600 engine single carb and "Sport Jeans" with 1600 engine dual carb (Dual barrel Weber). 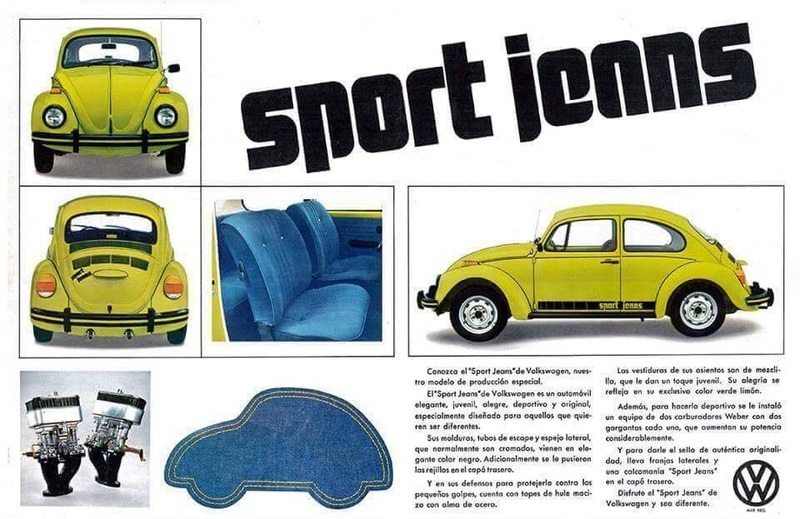 It seems that the "Sport Jeans" were only produced in 1975. 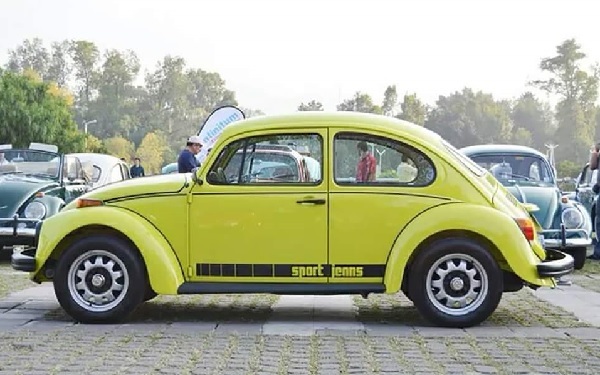 2 colors for the mexican Jeans beetle. 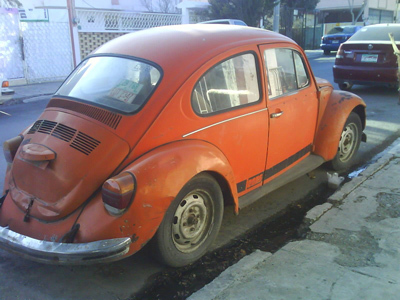 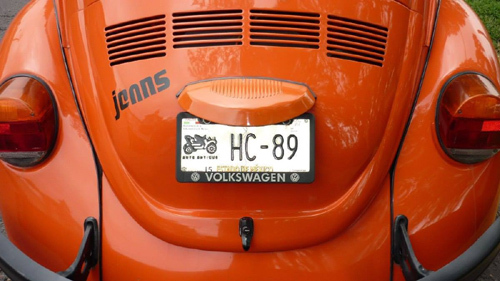 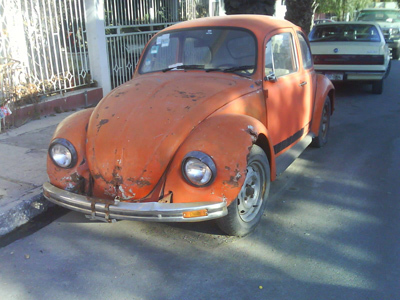 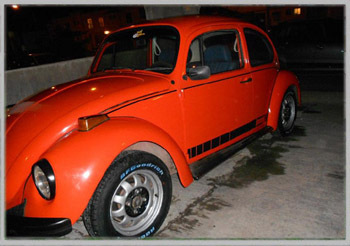 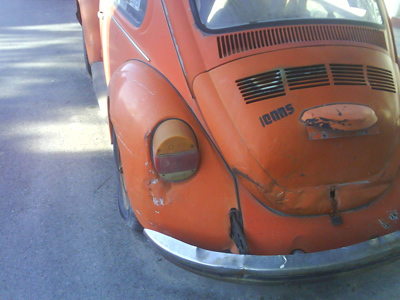 As for the European Jeans beetle, Chrome are replace by black elements. 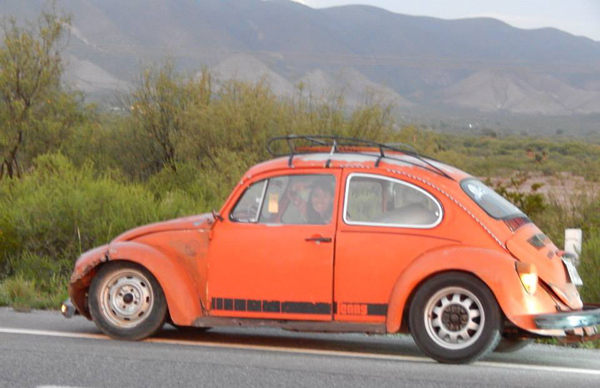 Rear hood with four groups of vents. 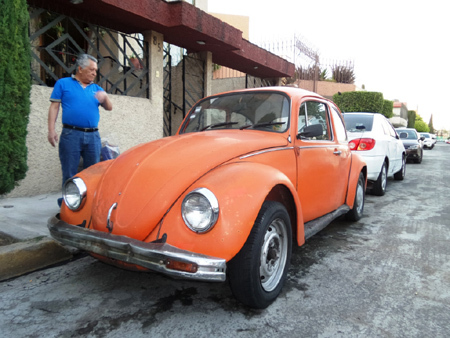 This 1976 Jeans, recently recovered by Arturo Navarro. 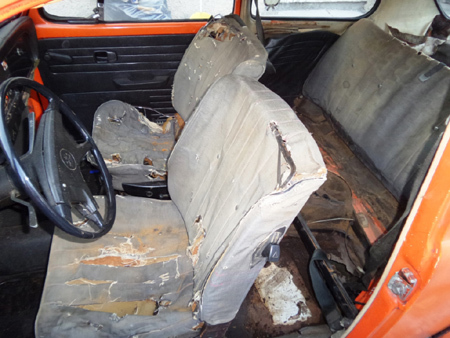 Jeans cloths seats, although very damaged is always in place. 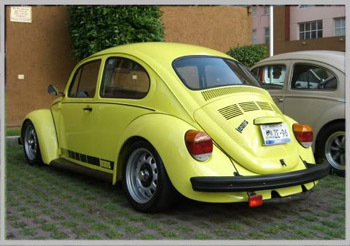 This other "Vocho" Jeans was recently discovered by Jorge Armandog. 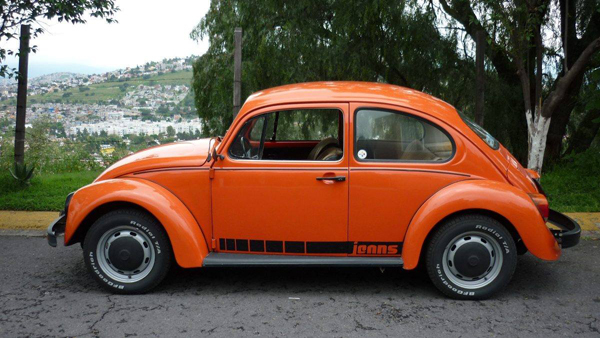 It's a 1977 Beetle. 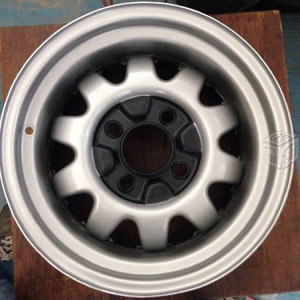 Lemmertz wheel, named commonly "Sport Jeans wheels" (Rines Sport Jeans) in Mexico. 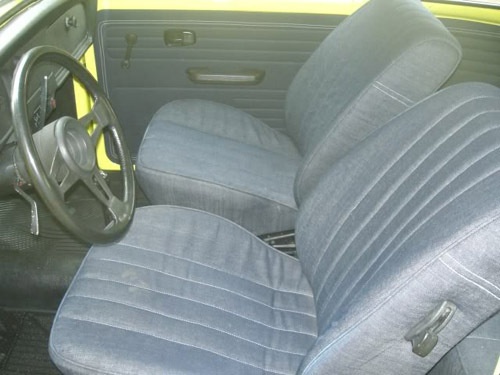 The standard rim has also been used. 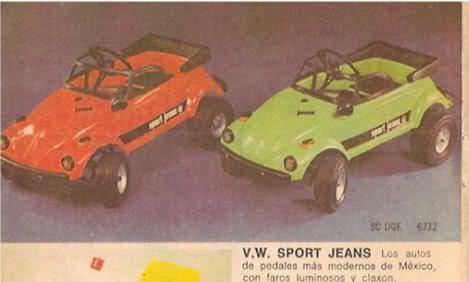 - 1600 (1584cc) engine with single carb for the "Jeans"
- 1600 dual carb for the "Sport Jeans"
Toy with the lateral strip "Sport Jeans"